Be taught the fundamentals of this beautiful self-practice yoga over 4 night classes. 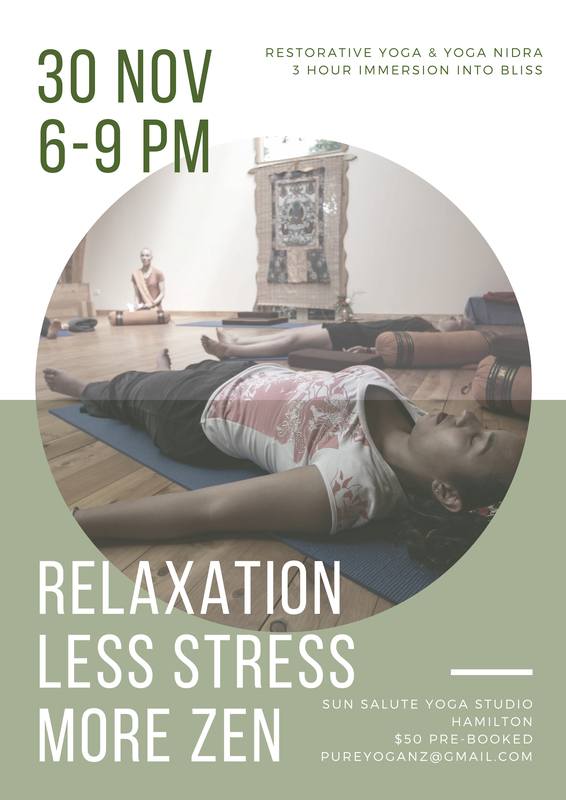 Learn the importance of Ujaii breathing, steady eye gaze (dristhi) and flowing steady movement (Vinyasa). Ashtanga is a physically dynamic format and can be challenging, but the benefits of releasing tension and learning to breathe freely and deeply are great. 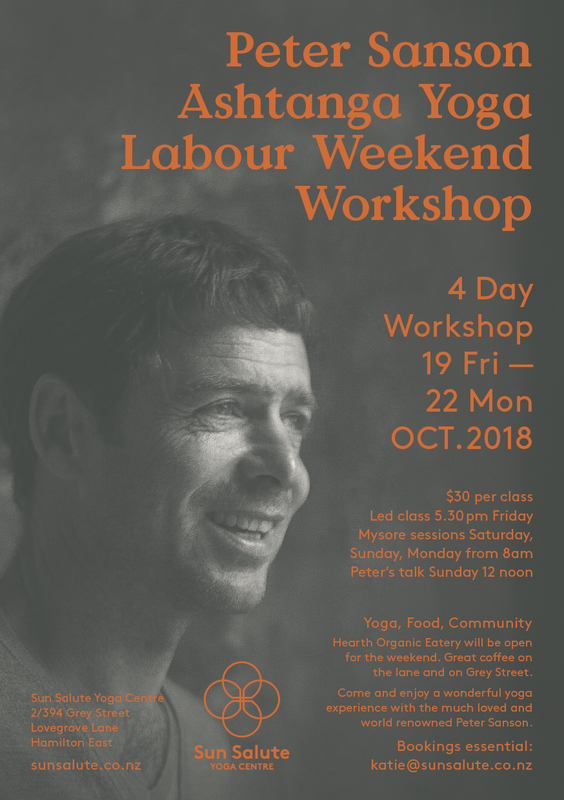 In this 4 week course you’ll learn the sun salutes and some of the first standing poses as well has gain some insight into the philosophy of yoga and to developing a personal practice. Courses run every 4 weeks. It is essential to book in, courses won’t run unless minimum numbers are made. Maximum 15. If you can’t make this course, please get in touch we can discuss the option of getting along to Mysore classes as a beginner. Tuesday February 12- March 5 – Booked out. Tuesday March 12 -April 2 – Booked out. Tuesday April 9 – April 30 -Booked out. Please email to be put on waiting list if you are interested. Please send an email to katie@sunsalute.co.nz to book in. It seems the newsletter sign up here to the right is not working. Working on getting that fixed! In the mean time send me an email to be put on the newsletter list. We are delighted to be hosting Peter Sanson for this upcoming Labour weekend. This means that the usual timetabled Saturday Mysore and Sunday Yin class will not occur. You can book in though to attend Peter’s Ashtanga workshop and get a whole weekend of practices in. See the coming-up page for details. Beginners to advanced practitioners are all welcome. Our Hearth Organic Eatery will be open for a delicious vegetarian salad bar, cold-press juices and kombucha tea. Serving free chai and filter coffee in the studio! And of course our favourite GG’s cafe at the end of the lane will be serving amazing coffee and meals.